Today's post is dedicated to the wonderful world of fermented veggies. Pickling- "Using vinegar to preserve vegetables or fruits along with spices and herbs." Vegetables usually ferment best when using a brine, which is basically salt dissolved in water (2, pg. 38). In some vegetable ferments, such as sauerkraut (aka fermented cabbage), the salt draws water out the vegetables via osmosis (2, pg. 38). Meanwhile, in other vegetable ferments, such as cucumber pickles, a brine solution is mixed separately and then poured on the vegetables (2, pg 38). The salty environment prevents strains of several harmful and pathogenic bacteria from growing, while it encourages the growth of certain desired strains of bacteria- in particular, Lactobacilli (2, pg. 38-39). Fermentation vessels include crocks or simply large, glass wide-mouth jars. A smaller glass jar can be placed inside a wide-mouth jar to put pressure and weight on the fermenting vegetables. Pour the saltwater brine over the vegetables, making sure that the vegetables are submerged in the liquid. Put a plate or weight on top of the vegetables to weigh the veggies down. It is important to make sure that the vegetables remain submerged, because fermentation is an anaerobic (without oxygen) process. If there are vegetables above the liquid, they will be exposed to oxygen, and can encourage the growth of mold. Try to remember to check on your fermented veggies everyday and make sure that they are submerged under the brine, and also taste them to see if they are ready for refrigeration. If there are any moldy veggies on top, you can just remove them (the mold only grows on the surface). And if there is water loss by evaporation, simply add more brine to your fermenting vegetables. Fermentation occurs more quickly at higher temperatures. By making your own fermented vegetables, (including sauerkraut, sour beets, kimchi, and more), you can control the saltiness and sourness/acidity of your fermented food! Fermentation is another way to preserve foods. After you've done it once, you'll find that fermenting vegetables is actually very easy! Look at my sample recipe above or links to some recipes below. For more information on fermentation from Sandor Ellix Katz, read his book Wild Fermentation, or take a look at his website for recipes on how to make sauerkraut, pickles, and more! In addition, Gabriel Cousens from the Tree of Life Rejuvination Center provides a little information on fermented foods in his book Conscious Eating. 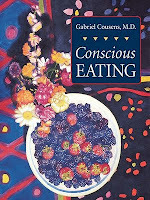 Preview Conscious Eating here through Google Books, and go to page 743 to read the section on Fermented Vegetables and also to find a few recipes. And although I already went through some definitions, I would like to reiterate that room temperature vegetable ferments are not the same as pickled vegetables made and stored in vinegar (when you put the vegetables directly in the fridge for preservation/to develop flavor). Although both are food preservation methods, vegetables fermented at room or warm temperatures for several days or weeks rely on the bacteria lactobacilli to create lactic acid. Thus, these fermented vegetables contain live active cultures. Read a little more info on this subject here. If you would like some more reading on sauerkraut fermentation, look no further. Ben Grosscup. 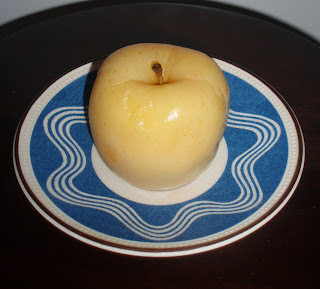 "9-19-09: Date of Food Preservation Workshop Near You." NOFA - Massachusetts News - August-October 2009, p. 4. Katz, Sandor Ellix. Wild Fermentation. White River Junction, Vermont: Chelsea Green Publishing Company, 2003. Cousens, Gabriel. Conscious Eating. Berkeley, California: North Atlantic Books, 2000.